Laid down, 11 October 1943, as SS Leif Ericson, a Maritime Commission type (Z-ET1-S-C3) hull, under Maritime Commission contract (MCE Hull 1930) at Delta Shipbuilding Corp., New Orleans, LA. 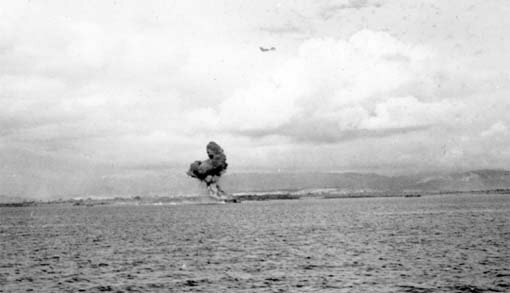 Final Disposition, lost to enemy action, 30 December 1944 at Mangarin Bay, Leyte, P.I. 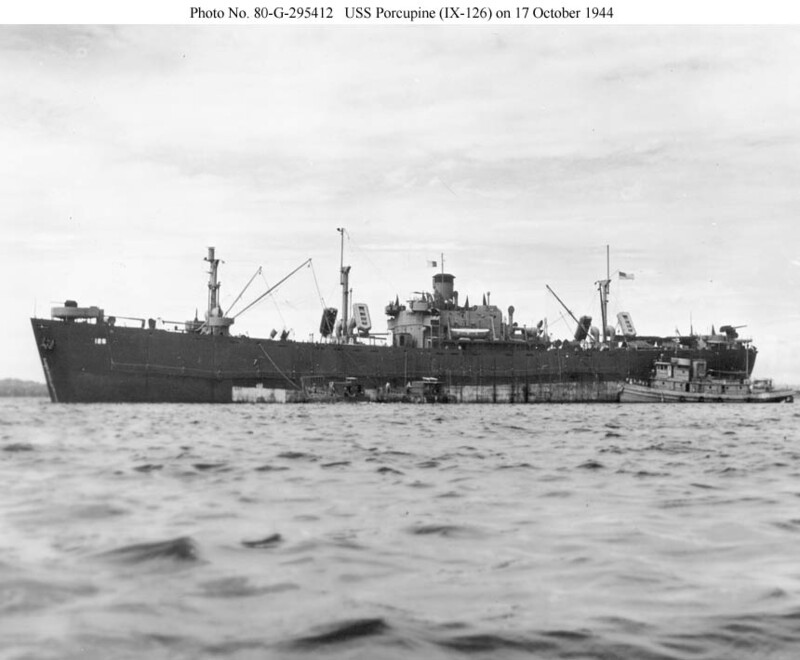 79k USS Porcupine (IX-126) at anchor, 17 October 1944, in the Southwest Pacific.